Thabo Kgaphola is known by many as ‘Summary Wa Lehetla’, a name he got from a talent show that he entered and won at his church. ‘Lehetla’ is Sotho for shoulder, and by virtue of his tendency to dance and move his shoulders it became his stage name. 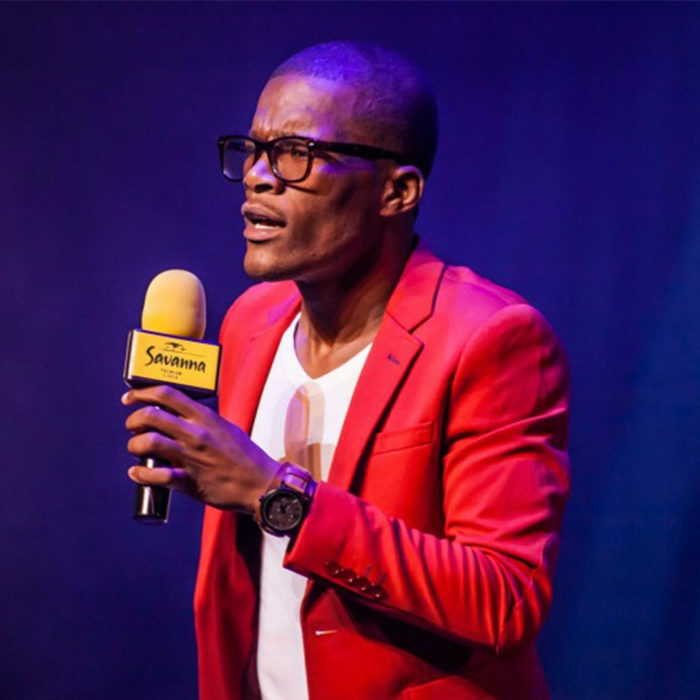 Hailing all the way from Orange Farm, this young comedian has made his mark in the comedy industry and has rubbed shoulders – forgive the pun – with the likes of renowned comedian Mashabela Galane. It started as just a hobby at school when Summary was often Master of Ceremonies during school functions. He also knew that he loved comedy but the idea of him doing it did not get to him. It was because of lack of information that was not presented to him that it took so long for him to make his first appearance. Summary was advised at a tender age, while he was in high school to study something that was in line with his talent. Instead, after completing his matric he came across a learnership which he did for six years, and while he was at it his colleagues advised him that he was in the wrong field. It was then that he resigned from the learnership and enrolled with the University of Johannesburg`s faculty of Management. The likes of Professor Duplessis are also witness to this young and talented comedian`s work. Another reason for Summary not taking comedy seriously was that he lacked confidence, but this changed over time as he was the class clown in the lecture room, and subsequently oozed the necessary confidence level. UJ FM has so far hosted this comedian various times. Summary's goal is not to become famous because of his talent, but to use his talent wisely to make people laugh their problems away, and also to help up and coming comedians. “Summary is becoming more popular and is doing a marvellous job on stage; therefore the future is bright in the entertainment industry for me.